GE's transformer protection devices provide innovative solutions for the protection, control and monitoring of transformer assets. Transformers have become an essential component for high voltage power transmission, ensuring long distance transmission of power is economically practical. GE's transformer protection solutions enhance transformer reliability through special techniques and methods to increase the life of transformers. Extend transformer life, optimize capital expenditure and improve reliability of service by implementing a preventative asset maintenance and management tool using GE's Multilin T60, T35, 845, 745 and 345 as well as MiCOM P64x. Learn more about this spotlight application. 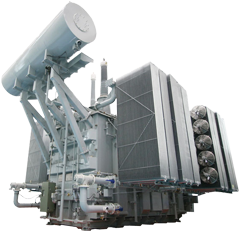 T60 Transformer Protection System High-speed, two to six windings/restraints transformer protection system. The T60, a member of the UR Family of protection relays, is a three-phase, multiple winding, transformer relay intended for the primary protection and management of small, medium and large power transformers. 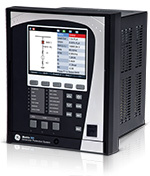 Includes a full featured set of protection, I/O, data logging, and communications capabilities. MiCOM Agile P64x Transformer Protection SystemGE's MiCOM Agile P64x Platform of transformer protection relays helps preserve transformer service life and provides fast protection for transformer faults. The platform consists of three model variants (P642, P643 and P645) that cover two and three-winding transformers (including auto-transformers), with up to five sets of 3-phase CT inputs, and offers high and low impedance restricted earth fault and has integral asset management capability. 845 Transformer Protection and Condition Monitoring System Comprehensive Protection and Management for 2- and 3-winding Power & Distribution Transformers. The Multilin 845, a member of the Multilin 8 Series relay platform, has been designed to provide comprehensive protection, control, and management for 2- or 3-winding power and distribution transformers used in utility and industrial applications. The Multilin 845 also provides advanced electrical and dissolved gas monitoring and diagnostics, advanced communications supporting IEC 61850 Edition 2 and redundant communications architectures. T35 Transformer Protection SystemCost effective transformer protection for up to six windings. The T35, a member of the UR Family, is a digital three–phase transformer relay designed to protect any size of power transformer with up to six windings/restraints. The T35 has a more focused protection feature set than the T60, yet still has all the I/O, data logging, and communications options. 345 Transformer Protection SystemMicroprocessor-based system for primary and backup protection of small and medium sized, 2-winding, distribution transformers. The Multilin 345 offers advanced algorithms for magnitude and phase compensation. 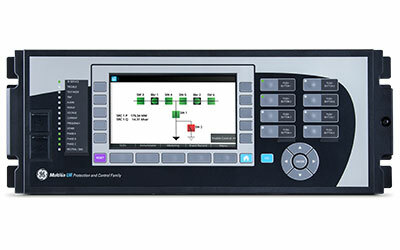 The 345 includes advanced communications supporting simultaneous communications, enhanced draw-out construction and enhanced diagnostics for asset monitoring and simplified setup & configuration tools to reduce commissioning time. This 3 Series relay is available with multiple options including draw out or non draw out, and with or without chassis for spare parts, replacements or testing purposes. 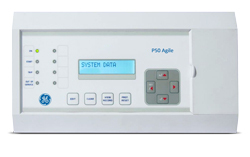 P50 Agile P652 Transformer ProtectionThe Agile P652 is a dedicated protection relay intended for optimised protection and monitoring of two winding transformers. The P652 offers supervision, measurement, monitoring and recording functions in one box. It is an economical choice, designed for deployment in volume, for system voltages typically up to 66/69 kV. 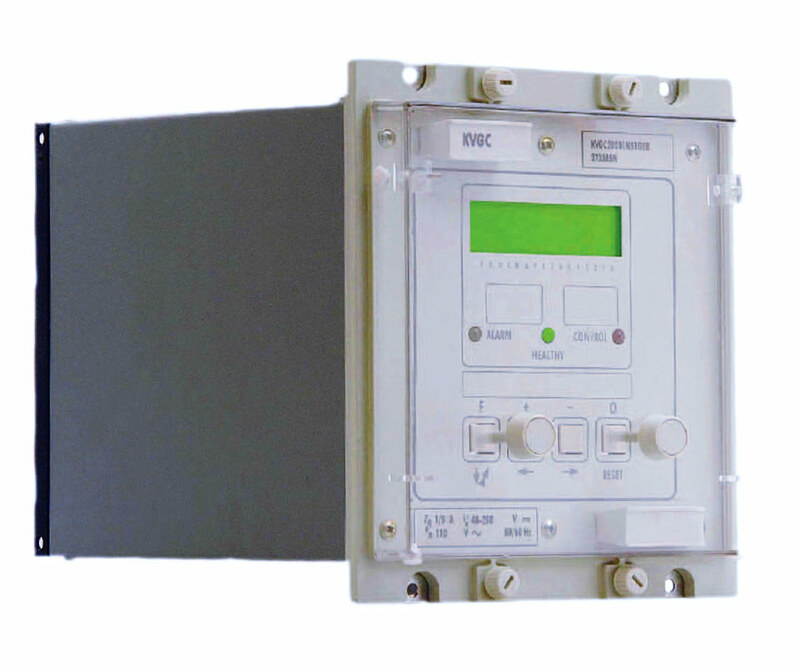 KVGC Transformer Protection SystemThe KVGC relay provides regulation of the supply voltage within finite limits by controlling transformer tap changing. 745 Transformer Protection System This product is under last-time buy. Orders may be placed until 31st December 2019, and will be fulfilled based upon availability. As an alternative, please refer to the 845 relay. High-speed draw-out multiprocessor-based relay for transformer protection and management. The 745 Transformer Protection System, a member of the SR Family of protection relays, is a high-speed, multiprocessor-based, three-phase, two or three-winding transformer management relay intended for the primary protection and management of small, medium and large power transformers. In a draw case, it also includes analog inputs and outputs, while incorporating advanced features such as transformer loss of life monitoring.